It is estimated that 80% of people with disabilities live in the developing world, and while a host of international organisations that are working to support those with disabilities probably spring to mind, it is a challenge to find one that focuses on their unpaid carers who are often equally impoverished, isolated and disproportionately female. Anil Patil, founder of Carers Worldwide, refers to these carers as an ‘invisible army’ as despite the significant role they play, recognition and support networks are non-existent. “All of us will become carers or will have someone caring for us at some point. It does not discriminate whether you are rich or poor. It affects each one of us,” says Anil. In the UK, unpaid carers save the NHS more than £100 billion a year. Scale the number up to a country the size of Bangladesh and you get an understanding of the contribution carers make. 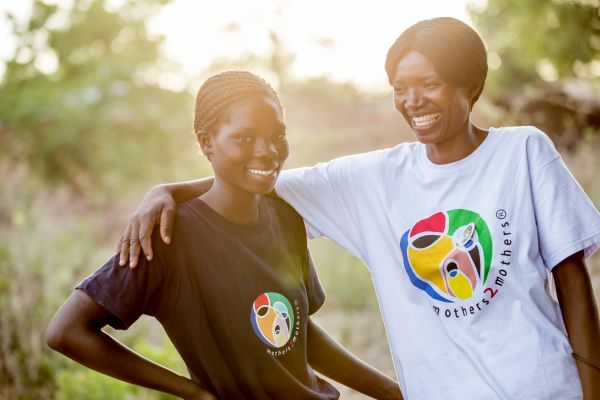 As the only organisation working exclusively with unpaid carers in the developing world, Carers Worldwide is looking to address that imbalance. Since its establishment in 2012, the organisation has primarily focused its work in South Asia and has received two UK Aid Direct grants for projects in Nepal and Bangladesh. In this region, caring responsibilities are generally undertaken by women; 93% of carers engaged by Carers Worldwide in Bangladesh are women. The lack of support networks combined with the gender inequality present in South Asia – countries in the region rank in the bottom third for women’s economic participation, educational attainment and health – means that female carers are doubly marginalised; excluded from mainstream society due to their gender and role as carers. Caring responsibilities mean that they often end up impoverished and unable to maintain their own health and wellbeing. 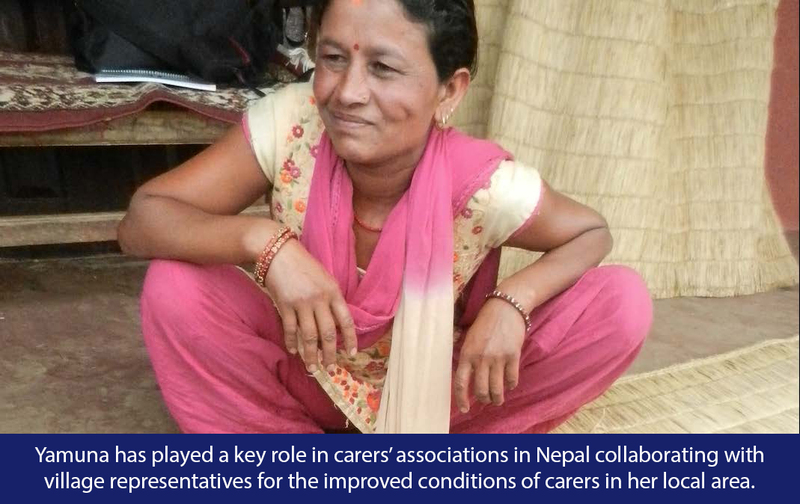 During its Nepal project, it was found that 69% of carers had a physical health issue due to the strain of their caring responsibilities. Carers Worldwide builds support networks and raises awareness of the role of carers by improving the capabilities of local health care systems, providing employment and skills training, establishing respite opportunities and creating carers-only associations and cooperatives. “By setting up carer organisations, carers are not only able to share their experiences and issues, but they feel empowered and are provided a platform to get recognition for the vital work they undertake,” says Anil. 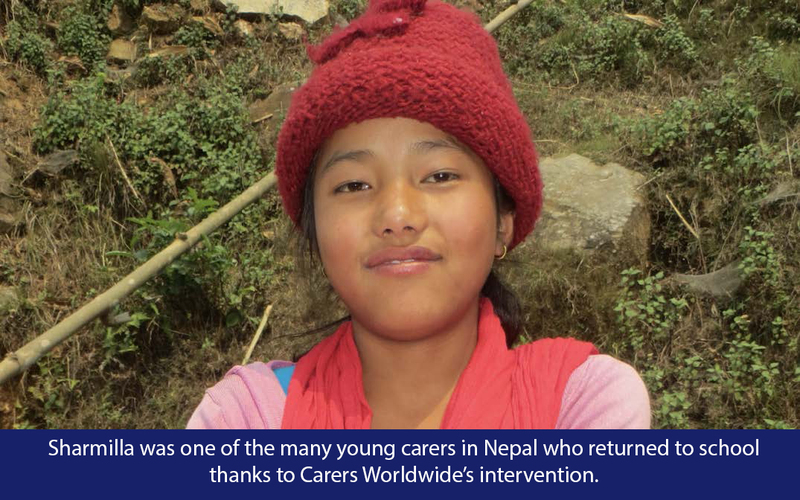 Carers Worldwide UK Aid Direct-funded project in Nepal was a success. By the end of the project, 75% of the carers engaged had a sustainable, regular income and 100% of young carers had returned to school. The traction gained by the associations meant that several local communities celebrated a day for carers in 2014. This is a tradition that continues to this day with elected representatives and ministers attending the events. Next for Carers Worldwide is expanding the model to other countries. Its Small Charities Challenge Fund project in Bangladesh has been live for four months and it has already established 17 carers-only groups; the first of their kind in the country. The organisation is also keen to continue the progress made by building the capacity of the carers associations to increase their political power and ensure nobody is left behind. “In our first UK Aid Direct project, we ensured 75% of carers had a regular income. But what about the other 25%? How can we improve this? This is our next step,” says Anil. 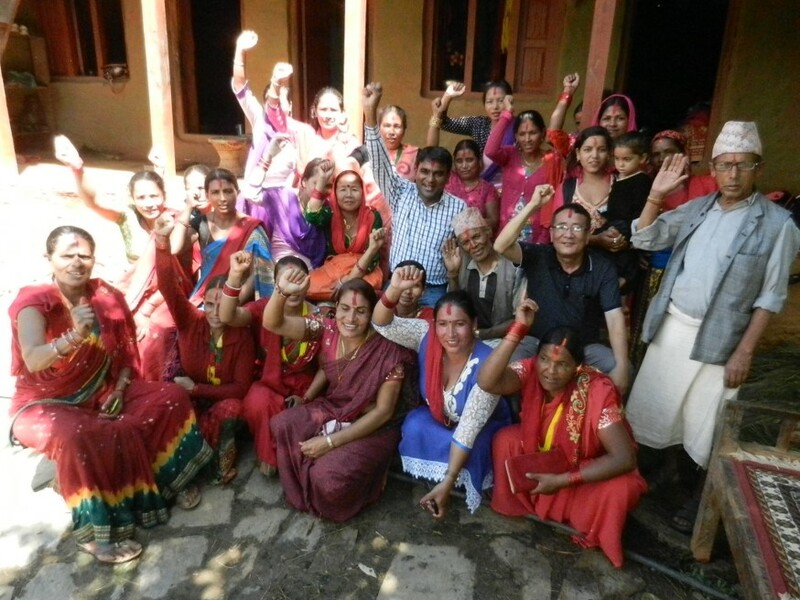 Find out more about how Carers Worldwide’s work empowers women in South Asia here.